Business owners and social entrepreneurs in many communities struggle to access the funds they need to launch or expand their businesses and initiatives. At the same time, most of our financial investments go to unfamiliar, opaque investments in far way places and have impacts from which we are disconnected. It doesn’t have to be this way. Innovators across North America are creating ways of re-directing financial resources to businesses and organizations that are serving the communities in which they are located by providing needed goods and services, creating high-quality jobs, restoring the environment and enabling prosperity for all through the development of local living economies. 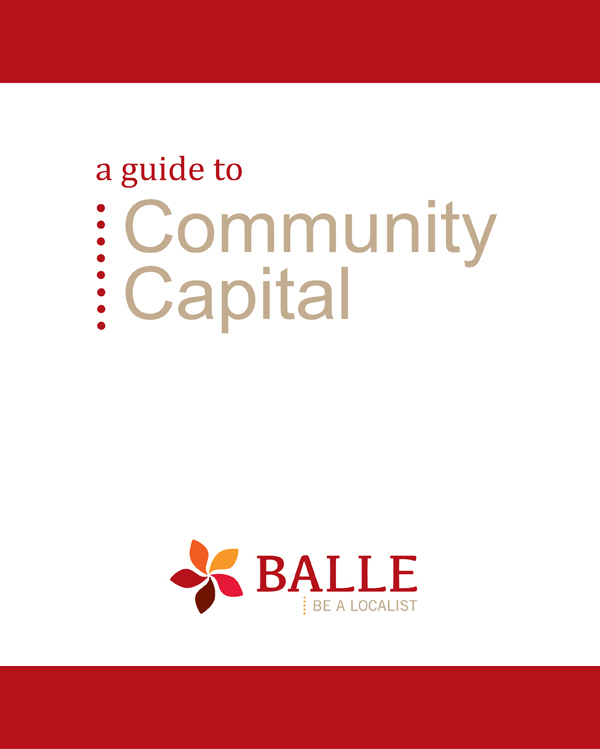 Sources of Financial Capital – Overview of capital sources and potential partners that may exist in your community. Tools for Deploying Capital – The tools that entrepreneurs and innovators are using to tap into community capital. Investment Offerings and Community Capital Platforms – Options for structuring investments, with a review of some of the existing innovative platforms and mechanisms. Glossary of Financial Terms – Simple definitions for financial terms.